The outdoor lighting of your home or business is critical to the exterior decor of your structure. At M&M Lighting in Houston, we carry an extensive array of outdoor lights to help illuminate and spruce up your outdoor space. From decorative wall mounts to sconces and chandeliers, you’re sure to find the perfect lights in our Houston, Texas lighting showroom. 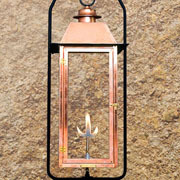 We also offer a unique collection of spot lights, utility lights and gas lanterns as well. 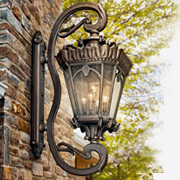 Our lighting specialists have been helping our customers find ideal outdoor lighting for more than 50 years, and we take pride in our high-quality outdoor lighting products and top-notch customer service. Schedule an appointment with one of our lighting specialists today or browse our lighting catalog online. We look forward to working with you! 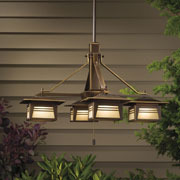 Outdoor lighting should be beautiful, functional and attainable. You might not realize how much you actually utilize lighting for your outdoor spaces until you don’t have efficient and proper lighting for them, or your lighting goes out completely. 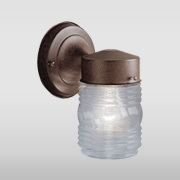 The purpose of some outdoor light fixtures is to provide safety and security to the exterior of your home when it’s dark outside — for example, spot lights, entryway lights or walkway lights. Other outdoor light fixtures can highlight your home’s landscaping or architectural details — for this, think landscape lighting. Finally, you can choose outdoor lighting that is purely decorative for your entertaining spaces, such as outdoor chandeliers or gas lanterns. But no matter the purpose, you want outdoor lighting that is going to best match your home’s style and your personal design preference. Luckily, we have a variety of styles, finishes and sizes of light fixtures from top-brand lighting manufacturers so you’re bound to find lighting solutions you’ll fall in love with. If you’re still unsure of an outdoor light fixture that will best suit the design of your home, don’t be afraid to ask one of our highly trained and experienced lighting consultants. 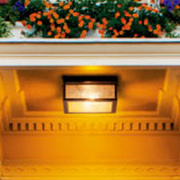 We have decades of experience helping our customers find lights they love at affordable prices. Schedule an appointment today. Sure, choosing a light fixture might initially sound like an easy task. But a lot of thought goes into choosing the perfect ones for your home. 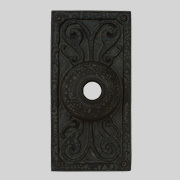 There are several types of outdoor light fixtures — all used for different purposes, all of which come in a variety of styles and colors. You want to make sure you’re installing the correct type of light fixture for the area you’re aiming to light for proper and sufficient illumination. On top of that, you want to ensure all your outdoor lighting solutions go well together. 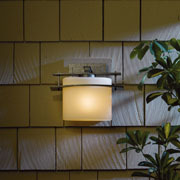 Keep in mind that most of these light fixtures should be designed to withstand wet or damp location usage. 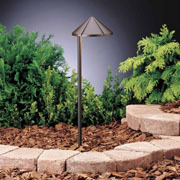 Wet location light fixtures are made to tolerate inclement weather, such as wind or rain, head-on. 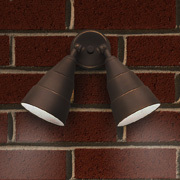 Damp location light fixtures are used outdoors in areas that aren’t directly exposed to rain or moisture, such as your patios, porches and the like. If you’re not sure if the outdoor lighting meets these requirements, ask one of our lighting specialists before you purchase. 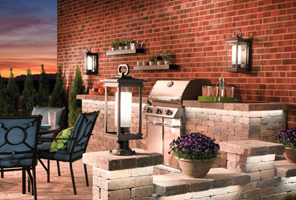 Outdoor lighting is important for several reasons, but we’ll highlight three for you. Here’s why you should invest in top-notch outdoor lighting solutions for your home — even if you don’t think it’s that big of a deal. It adds a sense of safety and security for you and your family. Kids aren’t the only ones who are afraid of the dark. By adding lighting to the exterior of your home, especially near doorways and walkways, you can prevent injuries from tripping and can scare away any strangers who may cause trouble on your property when in the dark. 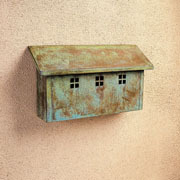 It increases the curb appeal of your home. You can get creative with the ambiance of your outdoor lighting and add a sense of your personality to the exterior of your home. 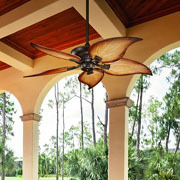 It gives your home a more unified look. 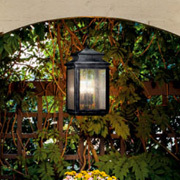 When you spend time adequately choosing outdoor lights for your home, you’ll give it a more unified, cohesive look. This will impress your guests before they even step foot through your door! 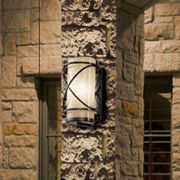 Do you live in the greater Houston area and are searching for new outdoor lighting solutions? 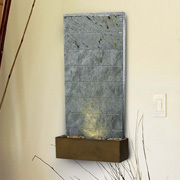 Look no further than our selection at M&M Lighting in Houston. 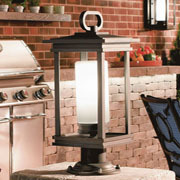 We offer high-quality outdoor light fixtures from some of the most trusted manufacturers in the nation. Your convenience and trust matters to us. You can browse our outdoor lighting selection through our online catalog or you can choose a more personal approach and visit our Houston lighting showroom. Either way, our lighting specialists can help you every step of the way. Schedule an appointment today to get assistance from a lighting expert in finding the perfect outdoor lighting solutions for your home or business. For additional tips, advice or information on finding outdoor lighting most aligned with your style and budget, check out our educational blog here.